Of the 13,300 Commonwealth servicemen commemorated by name on the memorial, just over 1,000 lie in cemeteries to the west of the River Indus, where maintenance was not possible. The remainder died in fighting on or beyond the North West Frontier and during the Third Afghan War, and have no known grave. 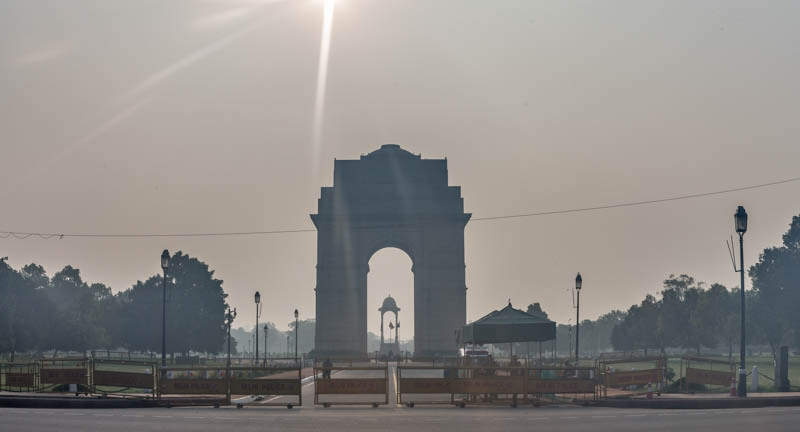 The Delhi Memorial also acts as a national memorial to all the 70,000 soldiers of undivided India who served and died in every main theatre of operations except Italy during the First World War, the majority of whom are commemorated by name outside the confines of India. The memorial was designed by Sir Edwin Lutyens. It was unveiled by Lord Irwin on 12 February 1931.